In finding the best rental wedding dresses remember Benjamin Franklin’s legendry tip on preparation: “By failing to prepare, you are preparing to fail.” So prepare well to succeed. We know that most weddings are planned in the popular months of May or June. Are you looking for rental wedding dresses? You don’t want to do that in the month or a few weeks before the big day, your fellow brides might just have scooped that nice wedding dress you were looking for. Make it easy for yourself and start 8 to 12 months in advance. There is more than money that counts. Understand why you chose to rent and not to search for cheap wedding dresses. Here are some advantages and disadvantages of either choice. Cheap wedding dresses. Of course, it is cheaper, on average for renting a wedding dress you might spend something like 250 to 600 USD on. Buying similar kinds of wedding dresses instead, is more likely to end up with an added zero behind those numbers: 2,500 to 6,000 USD. That money can also be spend on lots of other wedding related things well worth spending your money on such as your guests, your own house or a nice honeymoon. Travel comfort. If you plan on a destination wedding, renting a wedding dress might just be the best thing for you to do. No extra luggage through the airport and no taking care of the dress before and after the wedding. Popular places like Hawaii and Las Vegas have great places for renting wedding dresses. All inclusive option. 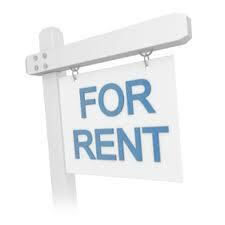 Often you will have the option to include you accessories in the rental as well. In the end you know that, you will just like your wedding dress, just wear the wedding accessories once. Taking this option will save you more money! No maintenance. A day after your big day…you return the rental wedding dress. No extra storage and special fabric preservative facilities are needed at your house. Time saving. The all inclusive option might also save you a lot of time. If you find the right shop, you can trust that they have spend a lot of time on gathering very complete sets of rental wedding gowns and matching accessories. Limited selection. Rental shops will only have a limited number of rental wedding dresses that you can choose from. No alterations or limited. Buying cheap wedding dresses will give you the option to ‘pimp’ it up exactly how you like it and to fit your body perfectly. The rental shops won’t give you that freedom. A minor alterations might be an option. Usually a close to perfect fit. You have to choose from the available sizes. You most likely won’t be able to find the perfect match. Extra careful. As the total value of rental wedding dresses are almost 900% of the rental cost, you have to learn to be very careful with the rental wedding dress. Your deposit of 300 to 500 USD might not be enough if you damage it. Make sure you are comfortable with being extra careful on your special night, also when it is getting late and the wine starts to kick in. No heritage for your children. Some families, traditions and cultures value the thought of transferring the super special wedding dress to their future daughter. That will not be possible for rental wedding dresses. Do however ask yourself if you would feel fortunate or uncomfortable when your mom would pull out her 30-year-old wedding dress to sway you away from your decision to rent a wedding dress. Dependence. 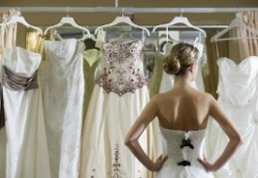 Even the best company cannot guarantee to deliver the dress you rented for your big day. Companies can go belly up sometimes and people sometimes make mistakes in delivering the right rental wedding dress to the customer who rented it. It’s a risk you have to be ready for. Ownership. You are not the prime owner of the wedding you have selected and know that it has been worn more than once. Availability. Your selected rental wedding dress will be available 1-3 days before the wedding day. It is your special day. You and your fiancée alone should make it how you want it. Renting a wedding dress might not be the solution for others and some might not even understand why you opt for this personal choice. Make life easy and ask your closest friends who join you in finding rental wedding gowns to promise not to share that with others. Ask friends and family for advice on good shops. Google the shops you use. Sometimes Trip Advisor or similar sites give great reviews. The future of shopping and business to consumer market is in reviews and references. It is the online version of mouth to mouth. Use it to find the best wedding dresses and shops. Never bet on one horse. Make sure you try on more than one wedding dress and visit more than one shop. You need to have a comfortable feeling not only with the rental wedding dresses you fit but also with the staff helping you. Make sure you read all the fine lines and understand the contract the rental wedding dress shops use. It’s the small details that matter big time for your big day. When do they deliver? What if something gets damaged? Make sure also that your special wishes are included on this special paper. Check up on the wedding dress you are actually going to rent. Inspect it carefully with a close friend. All the sewing done right? No stains? No loose or noticeable hanging strings on critical parts? Give the shop a call two to three months in advance to check up on your selected wedding dress to make sure that they haven’t gone belly up. Those three months can give you time enough to progress to plan B in the worse case scenario where they have no clue who you are. Give them an additional ring a couple of weeks before the big day just to make sure all is well. 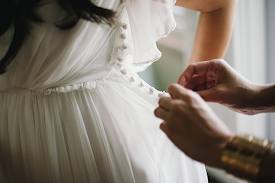 If you follow these 7 tips, you will have the best rental wedding dress experience.